The 56th Annual Grammy awards were held on Sunday at Staples Center in Los Angeles, California. The show, hosted by LL Cool J, opened with a performance from Beyonce and Jay Z of "Drunk in Love," her five-week-old single currently at No. 12 on the Hot 100. By and large, the Recording Academy honored the popular music that defined 2013 across multiple platforms: "Get Lucky," Lorde's downtempo "Royals," Macklemore and Ryan Lewis' "Thrift Shop" and Imagine Dragons' "Radioactive." Macklemore and Ryan Lewis, named best new artist, had four wins. Lorde became the youngest artist to win in a general category besides best new artist when "Royals" was named song of the year. Besides new artist, Macklemore and Ryan Lewis swept the rap categories they were nominated in: song and performance for "Thrift Shop," the second biggest seller of 2013 with 6.15 million downloads, according to Soundscan, and album for the million-selling "The Heist." 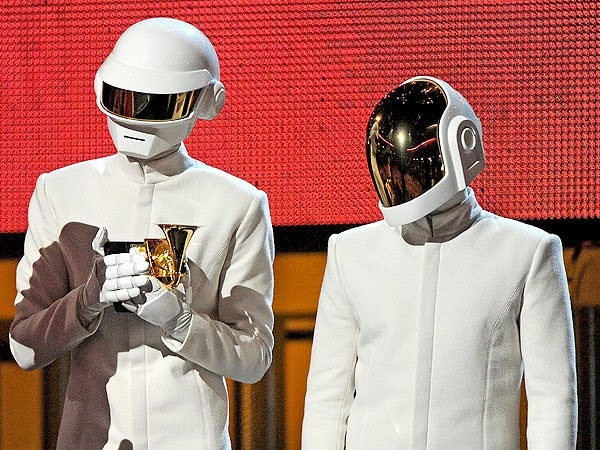 Daft Punk won album and record of the year honors for the album "Random Access Memories" and the single "Get Lucky" featuring Pharrell Williams and Nile Rodgers. It is the first general category win for a dance-oriented album since the "Saturday Night Fever" soundtrack won album of the year for 1978. They also won pop duo or group performance, for "Get Lucky," and dance/electronica album. Behind the scenes, Daft Punk collaborator Pharrell Williams was named producer of the year, non-classical, and engineers who worked on "Random Access Memories" won the GRAMMY for engineered album, non-classical. The Beatles, who will celebrate the 50th anniversary of their arrival in the U.S. with a CBS special taping on Monday and airing Feb. 9, had a steady presence throughout the show. McCartney and Ringo Starr performed "Queenie Eye" from McCartney's album "New;" Starr performed his Hot 100 No. 1 "from 1973, "Photograph," with a band that included Peter Frampton, bassist Don Was and singer Judith Hill. McCartney won the rock song award for his recording "Cut Me Some Slack" with Grohl, Krist Novoselic and Pat Smear. Grohl received two Grammys for his studio-preservation project that yielded the film "Sound City," winning compilation soundtrack for "Sound City: Real to Reel." Kris Kristofferson received a lifetime achievement award and performed with Willie Nelson, Merle Haggard and Blake Shelton; Robin Thicke joined Chicago to play "Does Anybody Really Know What Time it Is" and "Beginnings" from their debut album, which went into the Grammy Hall of Fame this year, adding "Saturday in the Park" and "Blurred Lines" to their medley. For a full list of the winners from the 56th Annual Grammy Awards, click here. Carnival's senior vice president of guest operations, Mark Tamis, announced the program Carnival Live, a concert series intended to help restore Carnivals image after three ships broke down last year. Images of passengers stranded at sea, ships towed back to port and trip cancellations created a torrent of bad publicity for the company that depressed ticket prices and revenue. 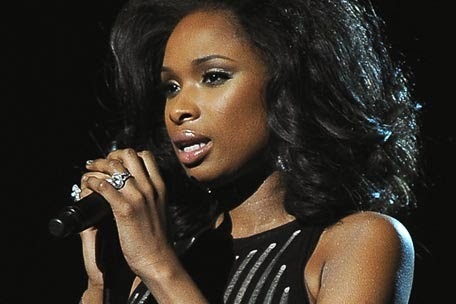 Jennifer Hudson will be headlining the series, and other performers and bands scheduled to perform are Chicago, Daughtry, Foreigner, Gavin DeGraw, Jewel, Kansas, Lady Antebellum, LeAnn Rimes, Martina McBride, Olivia Newton-John, REO Speedwagon, STYX and Trace Adkins. So far 49 shows are confirmed for the year. The concerts will be held evenings when ships are in one of three ports: Cozumel, Mexico; Nassau in the Bahamas, or Catalina Island off the coast of California. The 75-minute shows will be held in ship lounges that seat 800 to 1,500 people, depending on the ship. Tickets are available only to those taking the cruise. 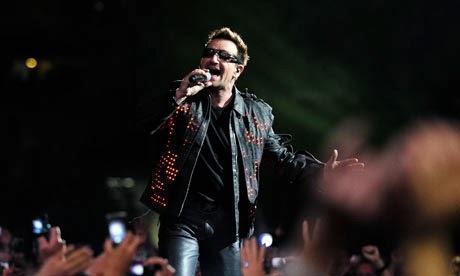 It's been nearly five years since U2 released No Line on the Horizon, their last proper studio album — but the band has resurged in the last several months thanks in part to their song "Ordinary Love" from the film Mandela: Long Walk to Freedom. Yesterday, they received an Oscar nomination for Best Original Song and the recognition brought out a mix of emotions. "We are humbled and honored that 'Ordinary Love' has been nominated for an Oscar," U2 said in a statement. "It was a privilege to be asked to write a song for this extraordinary film, Mandela: Long Walk To Freedom, and to help tell this extraordinary love story. We hav been working for this great man since we were teenagers and for our song to be recognized in this way by the Academy is beyond our wildest teenage dreams." This past Sunday, the band took home the Golden Globe for Best Original Song; this Oscar nomination is the second in their long career — they previously were nominated for "The Hands That Built America" from Martin Scorsese's 2002 movie Gangs of New York. They lost to Eminem for "Lose Yourself," the song he wrote for 8 Mile. U2 is currently prepping a new studio album, reportedly due out this year.